The Upper Arkansas River Valley has experienced rapid development in the last 15 years: many farms and ranches have been sold for development. For over a decade, the LaRue family leased 186 acres along the South Arkansas River for cattle ranching. In 2013 the landowner decided to sell the property but gave the LaRues the time to work with The Trust for Public Land to secure funding to purchase a conservation easement for the ranch. 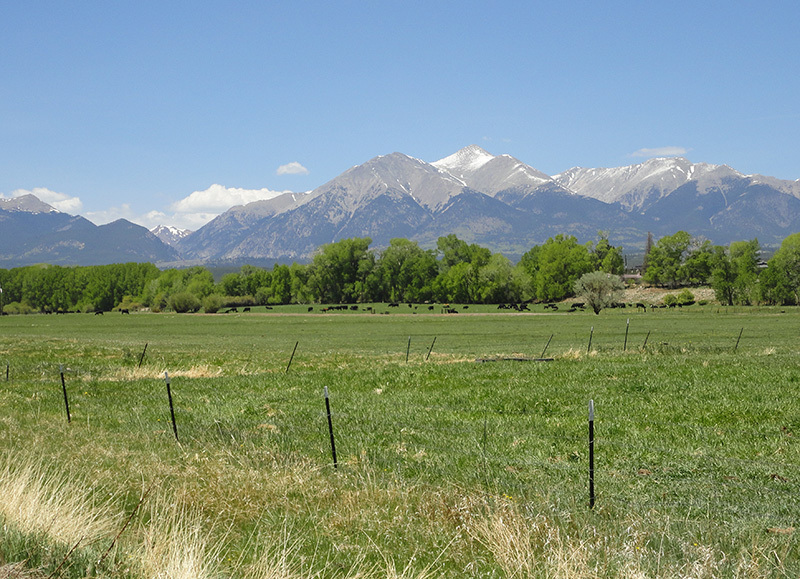 The sale of the easement gave the family the financial resources to acquire the ranch. Conserving this land will preserve the scenic viewshed and wildlife habitat, ensure water quality, and help maintain the rural ranching economy. This project is part of the Trust for Public Land's Upper Arkansas Valley Program, which has preserved nearly 3,500-acres of working ranchland and water rights over the past eight years in partnership with the Colorado Cattlemen's Agricultural Land Trust and the Land Trust of the Upper Arkansas.